This band's hard rock album, which features some good guitar work may interest readers. The antecedent of this band is a Cirencester-based group called The Sorcerers, who worked the German night clubs extensively in the late sixties and who seem to have been Cozy Powell's first band. Prior to Bedlam (who were originally known as Beast between Nov. '72 - May '73) Powell and the Ball brothers were in Ace Kefford Stand and Big Bertha and Powell also had a spell in Jeff Beck's group and a very short spell in the LA band, Spirit. Dave Ball also had a spell in Procol Harum and in Long John Baldry's group for a couple of months prior to joining Bedlam. 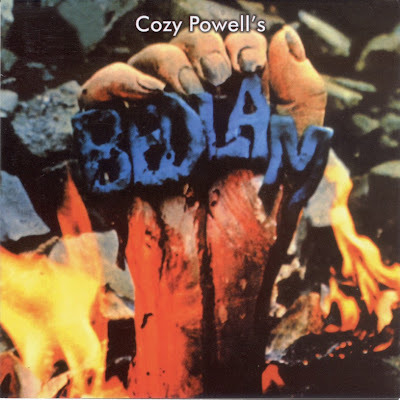 Bedlam lasted for about eighteen months, splitting in April '74, but never seemed to get going. 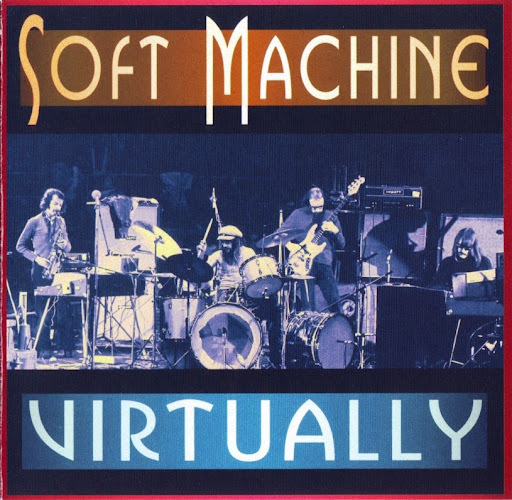 Musically they veered towards hard rock and it's worth noticing that their album was produced by Mountain's Felix Pappalardi. When they split the Ball brothers quit the music business, with Dennis starting a limo business and David supposedly joining the army. 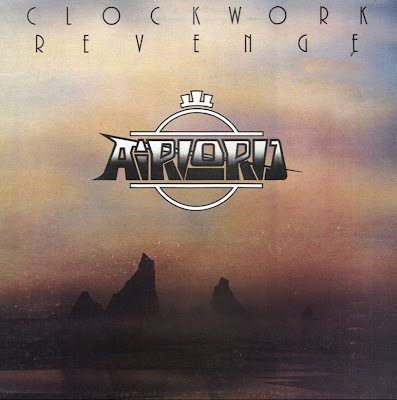 Powell stuck with Aiello for Cozy Powell's Hammer. Powell later went on to achieve considerable success as a member of Ritchie Blackmore's Rainbow and was later tragically killed in a car accident in April 1998. 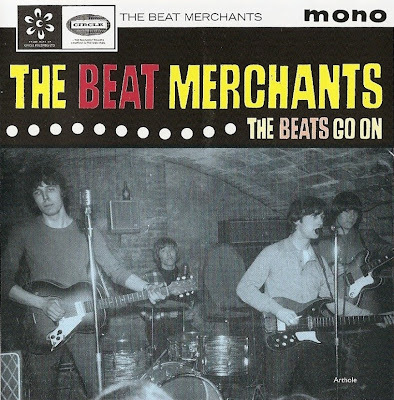 The Beat Merchants were a talented British band of the early '60s who were equally adept at generating mainstream British pop/rock in the manner of the Roulettes and the Searchers or hard-driving bluesy rock & roll in the manner of the Rolling Stones and the Small Faces. Yet apart from their debut single, "Pretty Face" -- which made it to number 44 on the British charts -- they never made any commercial impression on audiences in England or America. They started life as a Shadows-influenced instrumental group from England's south coast called the Hustlers, consisting of guitarist Ralph Worman, bassist Geoff Farndell, rhythm guitarist Gavin Daneski, and drummer Les Rogers (later succeeded by Vic Sendall). In 1963, the group added Peter Toal as a singer, which allowed the band to expand its repertoire and appeal. Billed as Peter & the Hustlers, the group began building a serious audience at its concerts, which featured upbeat covers of familiar American tunes -- including "Hippy Hippy Shake" and lots of Chuck Berry numbers -- interspersed with originals courtesy of Farndell and Daneski. In mid-1963, however, the band went through a series of sweeping changes. After crossing paths with the Rolling Stones -- then promoting their first single, "Come On" -- they decided to abandon their lighter, Beatlesque sound in favor of the harder, more aggressive sound played by the Stones, and to focus their originals and their covers more tightly on American blues. Toal left the group at around this same time for non-musical reasons and was succeeded by Chris Boyle, and the band was rechristened the Merchants and then the Beat Merchants. They were signed to EMI's Columbia label in mid-1964 and made their recording debut with a group original, "Pretty Face," which just missed the British Top 40 early that fall. That number, a crunchy guitar and harmonica-driven bluesy rocker, very much in the manner of the Stones or the early Yardbirds, with a furious attack that also recalled the early Who, would be the total extent of the group's success in England. They continued recording into 1965 and 1966, going through some more lineup changes, including founder Ralph Worman's replacement by Rick MacEvoy and then Alan Piggott on lead guitar, and the departure of Chris Boyle, after which Geoff Farndell and Gavin Daneski took over on vocals. 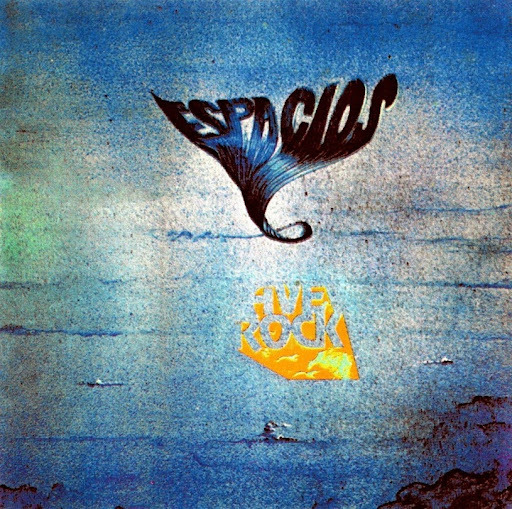 A heavy progressive Argentinian band whose 1974 album is notable for some killer guitar leads and roaring keyboards. Highlights include Gritos, which showcased their guitar and album work and the lengthy meandering instrumental Viva Bélgica and Déjenme Seguir. After this Calo quit and later became involved in the tango movement. With a new line-up they cut a second album released in 1977, but it made little impression and they split soon after. Luis Borda later became involved in the tango movement, forming his own instrumental tango group and releasing several CDs. He also played and recorded with Rául Porchetto. This is one of the ultimate rarities of French heavy progressive rock - so rare that few collectors even know of its existence. The album has seven tracks dominated by energetic fuzz and wah-wah guitar. Nothing more was ever heard from this trio. Named after the Alice travelling to Wonderland in Lewis Caroll's immortal novel, this group had an uncommon sound for a French band, more similar in style to contemporary British rock. 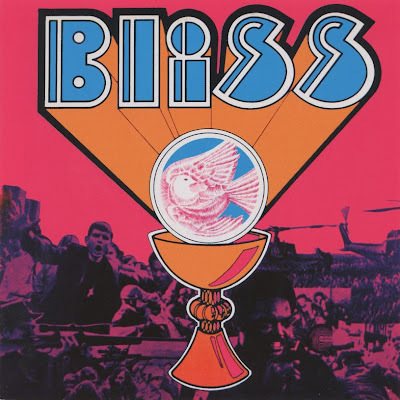 One of the reasons for this was the blues-rock background of several members. The first line-up (early 1970) included Auffredo, Suzan, Duplant and two ex-members of Alan Jack Civilization: Claude Olmos (guitar) and Jean Falissard (drums). This configuration only recorded Alice's first single "De L'Autre Côté Du Miroir" (the other side of the mirror)/ "Viens". 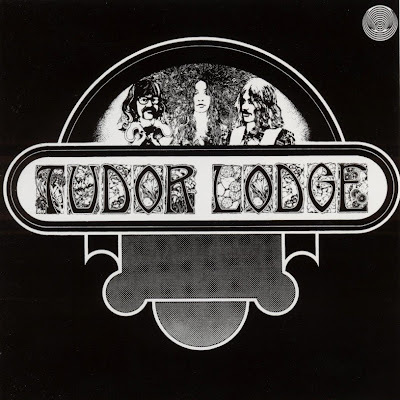 Their first album was recorded at the Marquee Studio in London in October 1970. The important contributions from Auffredo (mainly on flute but also sax and violin), Suzan (mainly on organ) and Besse (playing great guitar) led to obvious comparisons with Jethro Tull, Traffic and Family. 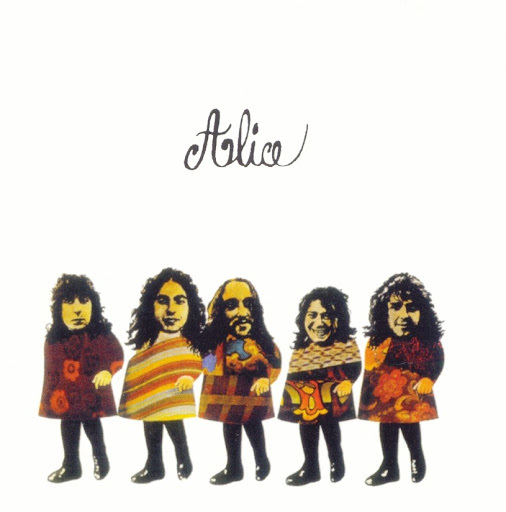 Alice's greatest strength was their talent for songwriting, composing songs with an instant appeal. Their music was lively and rural with some hippie vibes, maybe closest to Traffic's second album. On some tracks Alice used warbling Leslie effects on the vocals. Along with the first Magma album, this was one of the best French albums of 1970. 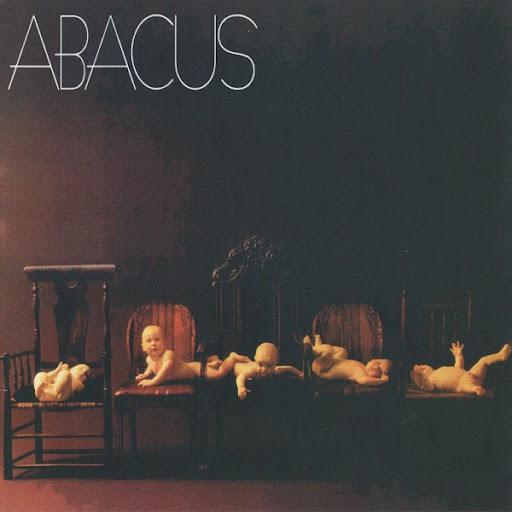 In spite of this, it didn't influence the future direction of French progressive rock, as is usually regarded as being linked with the classic songwriting tradition of the late sixties. Arrêtez Le Monde (1972) was a far more "progressive" effort. The English lyrics version of the album is very rare. Alice belonged to the first generation of French rock groups along with Martin Circus, Alan Jack Civilization and Systeme Crapoutchik. 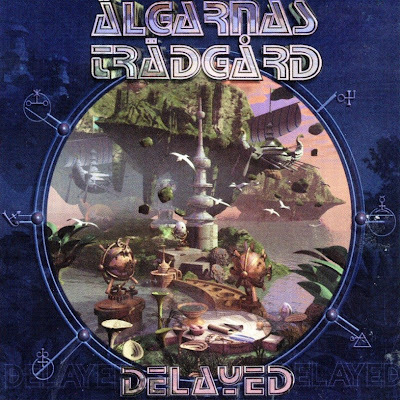 ÄLGARNAS TRÄDGÅRD are a seminal, 6-piece Swedish combo who made one album in 1972, a cult classic and masterpiece of psychedelia that could have come straight out of the 'Kraut' school of Space Rock. After the release of their album, they kept on playing live for a while, even recording a full album's worth of new material in 1973-74. But it wasn't until 2001 that this material was mixed and released, on a cd entitled "Delayed". Their 1972 classic, "Framtiden ar ett Svavande Skepp, Forankrat I Forntiden", is a veritable testimony to the halcyon days of hippiedom - a time when grown men, like children playing with forbidden colours, were popping hallucinogenic bonbons and experimenting with psychedelic sounds in their quest for mind-expanding adventures and altered states of consciousness. However, ÄLGARNAS TRÄDGÅRD's music never lapses into drugged-out silliness or aimless noodling. It ranges from earnest, to Medieval, to completely creepy - a sort of 'RIO meets folk'. They concoct some earthly (and unearthly) sounds using a combination of traditional, modern rock instruments and ethnic/archaic ones, the result being a spectacular blend of slow-smoking psychedelia with a strong vernacular Swedish folk bent. 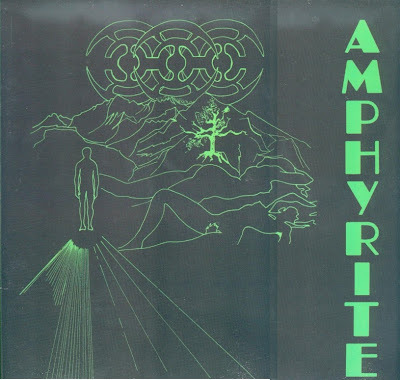 Their guitar-based, trance-like music is reminiscent of ASH RA TEMPEL; it also shares GONG's organic mayhem and the hypnotic qualities of early TANGERINE DREAM. If you can imagine a Nordic version of AMON DÜÜL II or ASH RA TEMPEL, you'll have a pretty good idea of what they sound like. 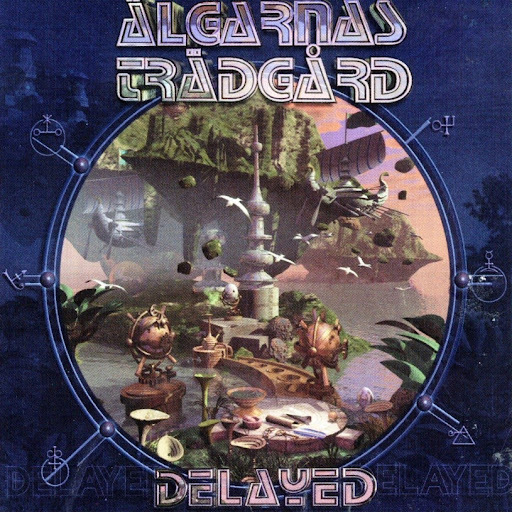 The 2001 cd "Delayed", which makes heavier use of drums and guitars, is yet another marvellously atmospheric and creative mixture of prog and psychedelia. Highly recommended for Krautrock aficionados as well as for fans of CAN and PINK FLOYD, circa "Ummagumma". 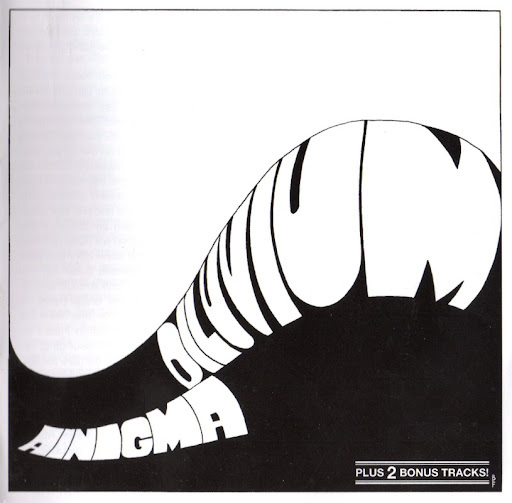 Ainigma's sound is "no compromise" heavy progressive rock, with fuzzy guitars and a very distinct organ sound. This uncomplicated instrumentation is often associated with the sixties American garage punk, in fact Ainigma sound very much like a psychedelic punk rock band from the late sixties and could very well be included on compilations like "Acid Dreams" or "Beyond The Calico Wall". Their album was recorded from April to May 1973 at PFS studio in four days. All lyrics were in English and actually very dramatic! The album contains just four songs, with the title track filling up one whole side. This extensive and dark seance dealt with the deluge, forced on by the greed and evil of humankind and represented the trio at their best. The band were from Garmisch-Partenkirchen, in the southern part of Germany. Remarkably enough, considering their artistic maturity, they were only between 15 and 17 years old at the time of recording. Diluvium is highly recommended for all fans of heavy progressive music, it was recently re-released in a superior cover by Little Wing. 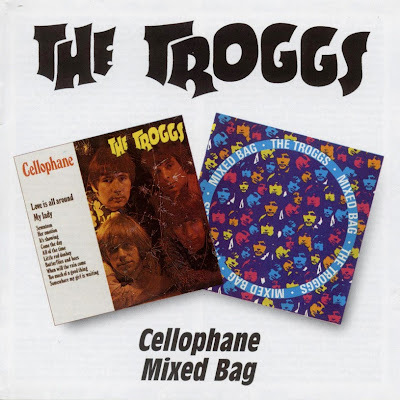 The group originally formed in 1964 as the Troglodytes. Andover in Hampshire was their home turf. The original line-up featured Tony Mansfield (gtr, lead vcls) and Dave Wright (gtr) as well as Presley (whose real name was Reg Ball) and Ronnie Bond. Early in 1965 Mansfield and Wright left to be replaced by Chris Britton and Pete Staples. Since Staples was a bassist, Reg took up the lead vocal mantle in place of Mansfield. 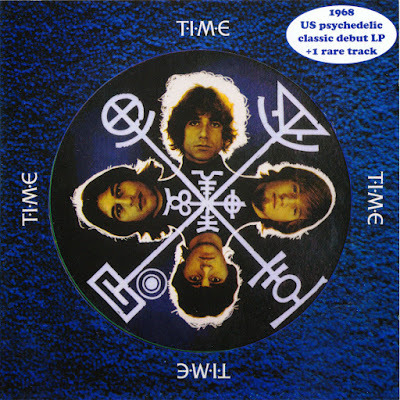 The Troggs soon developed a very distinctive sound, brash and raw with suggestive lyrics. They were snapped up by Kinks' manager Larry Page after he heard their rendition of You Really Got Me, and he changed their name from The Troglodytes to The Troggs. Their debut 45 flopped but for the follow-up, Page gave them a song written by US writer Chip Taylor, which had been recorded by an obscure outfit, The Wild Ones. The band gave Wild Thing a different arrangement with an ocarina solo in place of a whistling section on the original and it worked at treat. To coincide with its release, Ball changed his name to Presley, which won him considerable press coverage. Boosted by TV appearances on 'Top Of The Pops' and 'Thank Your Lucky Stars', it shot up the Charts, peaking at No 2 in the UK and topping the US Charts, where, because of a dispute about rights to the song, it was released on both Fontana and Atco, the latter 45 coupling it with With A Girl Like You, which was selected as the follow-up in the UK and cracked the No 1 spot. T.I.M.E. (Trust In Men Everywhere) ~ 1968 ~ T.I.M.E. A competent quasi-psychedelic band from the San Francisco Bay Area. They evolved out of Hardtimes which had included Bryom and Richardson. The opening track to their debut album, Tripping Into Sunshine, starts with a typical psychedelic introduction, although the remainder of Side 1 is comprised of rather mundane rock material. However, the standard improves on Side 2, particularly with I Really Love You and the closing track Take Me Along. 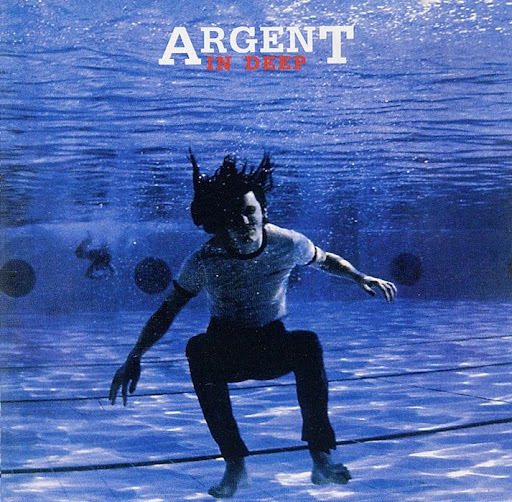 Three of their 45 tracks are taken from this album. The two opening tracks on their second LP released as LBS 83232 in the UK, were featured on the Gutbucket sampler helping to give the band international exposure, which they failed to exploit. Their blues influence is evident on tracks like Lazy Day Blues, while See Me As I Am, Trust In Men Everywhere and Flowers are examples of their attempts to get to grips with the predominant psychedelic influences of the time. The group made considerable use of phasing techniques, Their second album was the better of the two. The 'A' side to the second 45 is not on the album - it's a catchy pop-rock ditty with some tasty guitar. Both Byrom and St. Nicholas later played with Steppenwolf. The previously unreleased show captured on Virtually, recorded 3/23/71, presents the classic quartet Softs [Elton Dean/Mike Ratledge/Hugh Hopper/Robert Wyatt] during their final European tour & just 4 months before their dissolution. The recording [licensed from German radio & taken from the master tapes] is superb for the time period, & the performance really sparkles, with everyone shinning, although special note must be made of Robert's drumming, as he plays with more gusto on this show than most from this period. With versions of all the tracks from Fourth, most of Third and much more, this 78' release, which captures the entire concert, is absolutely essential for any Soft Machine fan.